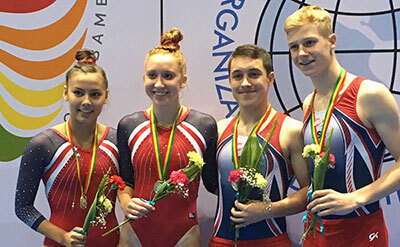 COCHABAMBA, Bolivia, June 22, 2018 – The United States swept the synchronized trampoline gold medals at the 2018 Junior Pan American Trampoline Championships in Cochabamba, Bolivia. 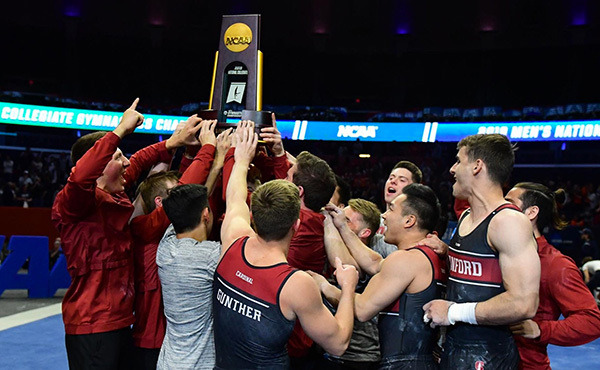 Held at the Pabellon Municipal de Gimnasia – Zona la Chimba, competition wraps up on June 23 with the individual trampoline finals, which begin at 1:55 p.m. ET. 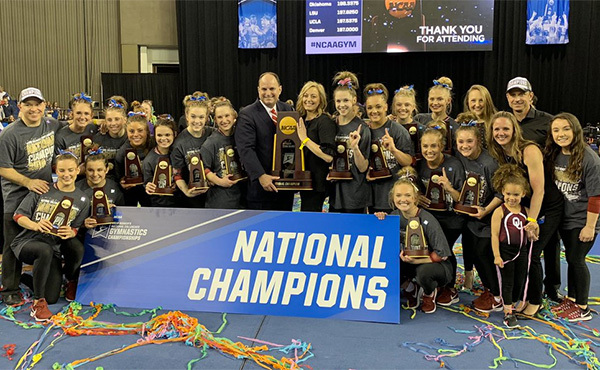 Alyssa Oh of Rocklin, Calif./World Elite Gymnastics, and Olivia Simpson of Lubbock, Texas/Air Extreme, won the women’s synchronized trampoline title with a 42.775. Canada’s Alexandra Boucher and Jordyn Yendley finished just behind the USA at 42.175. 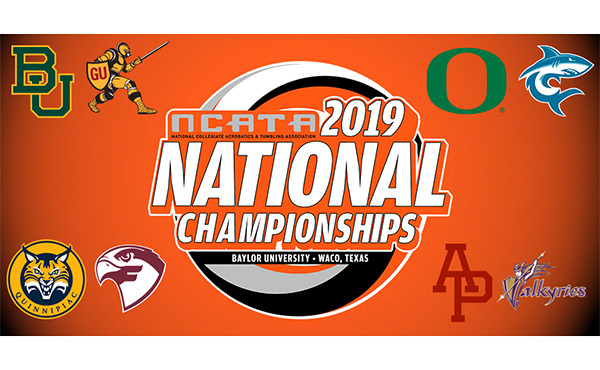 In men’s synchro, Logan Gilbert of Paris, Texas/Texas Tumbling and Trampoline Institute, and Joseph Isenberg of Martinsburg, W.Va./Elite Trampoline Academy, easily won the the gold medal with their 45.950. The other two men’s synchro teams did not complete their routines, with Brazil and Canada taking second and third, respectively. 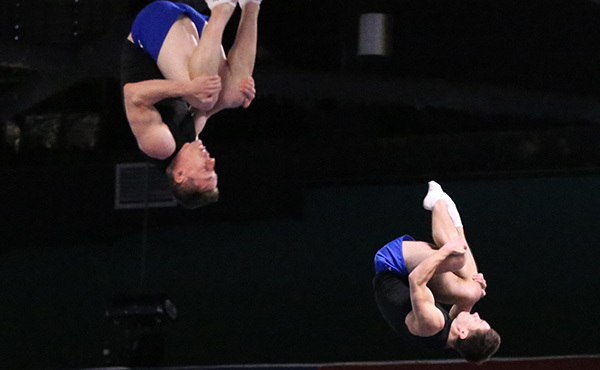 Oh, Simpson, Gilbert and Ruben Padilla of Oakley, Calif./Tornado Sport Club, qualified to compete in the individual trampoline finals. 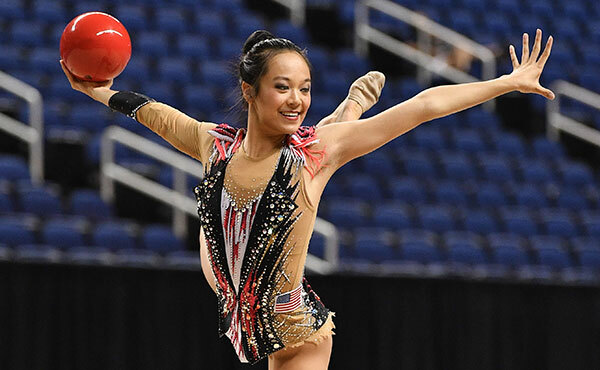 Earlier in the championships, the United States qualified for women’s trampoline at the 2018 Youth Olympic Games. The USA has also qualified for men’s and rhythmic gymnastics. 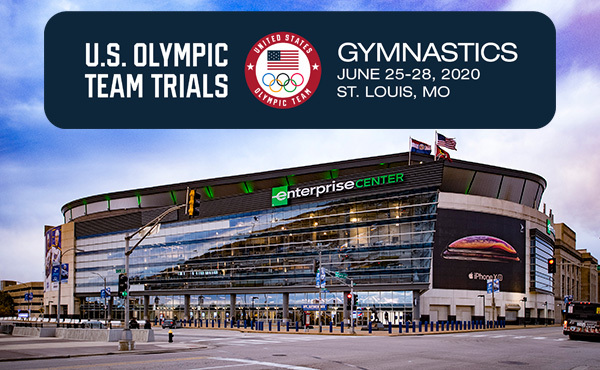 The U.S. coaches for the event are Steven Gluckstein, USA Gymnastics junior national team head coach, and Max Vercruyssen of Hawaii Academy.